Also known by its more scientific name, Acetyl Hexapeptide-8, Argireline® comes highly recommended by skin experts. Even TV’s Dr. Oz advises viewers about Argireline®, the most substantial alternative to cosmetic injections. 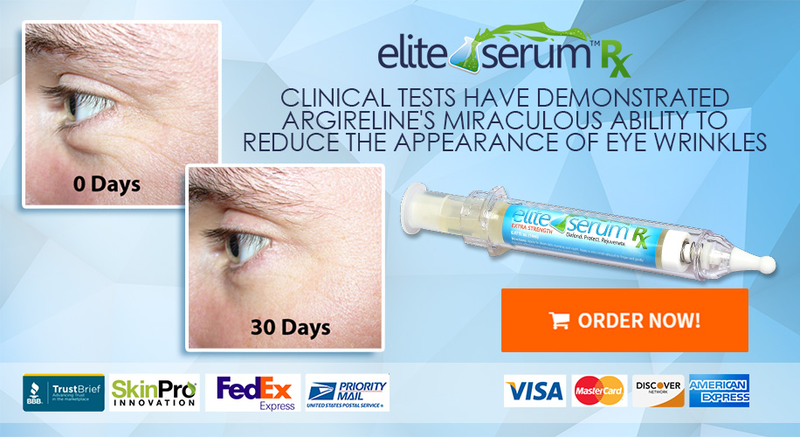 How could applying Argireline® directly to your skin reduce wrinkles as effectively as an injection? Applying this peptide to facial skin causes the muscles in there to relax. Tensing these muscles causes wrinkles to appear, and relaxing them therefore reduces this effect. Argireline® also mimics the N-terminal end of a natural protein called SNAP-25. By competing with this protein for a place in the SNARE complex, Argireline® stymies the effectiveness of neurotransmitters, thereby inhibiting wrinkle formation in the tender eye area. In 15 days, 10 women experienced wrinkle reduction of 17% using an Argireline® based cream. After 28 days, the subjects using Argereline® experienced an average of a 32% decrease in wrinkle depth. In 2002, a study published in the International Journal of Cosmetic Science demonstrated that Argireline® minimizes wrinkle depth, even in the sensitive eye area. In the study, healthy female volunteers used a cream containing 10 percent Acetyl Hexapeptide-8 for 30 days and experienced reduced wrinkle depth of up to 30 percent.